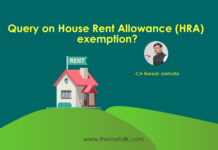 Home Query Trust offering income lower than 8%, whether 2 audit required? I had a query, one of my clients registered charitable trust U/S 12A is running a book store. Gross receipt from the store is around 40 lakhs with profit of below 5%. Would I have to file an tax audit report U/S 44AB and also audit report in form 10B?? Please Guide.. Thanks for the interesting query. 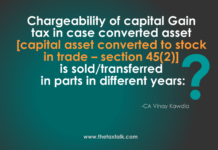 It may be noted that section 44AD is applicable to “Eligible Assessee”. Eligible Assessee, for the purpose of section 44AD means Individual, HUF & Firm excluding LLP. In short, AOP, Trust, Companies etc are not covered by section 44AD. Since trust, AOP are not covered by section 44AD, they will not be required to carry out audit u/s 44AB for profit being less than 8%. Next articleWhether the amount paid to LIC towards Gratuity of Employee is eligible for Deduction?